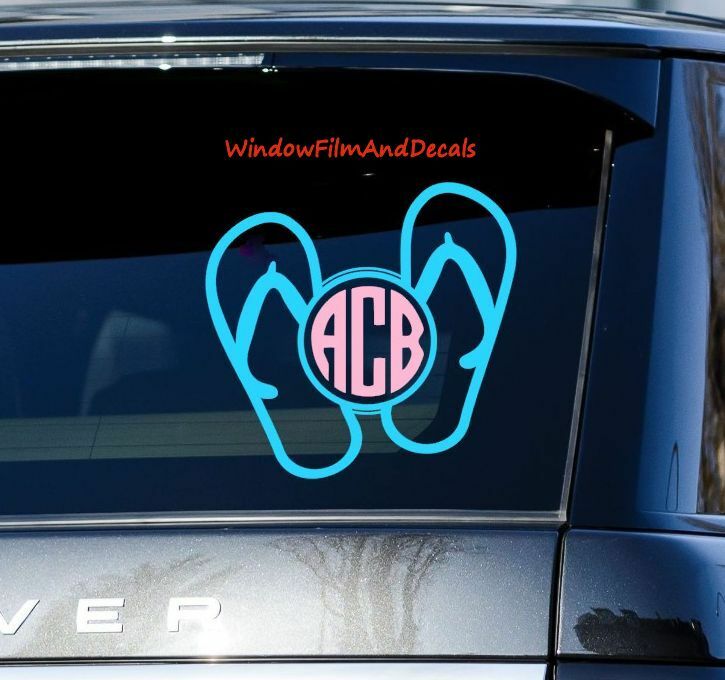 Personalize your car or truck with a touch of summer with our adorable flip flop monogram window decals. These are die cut and personally made for you. 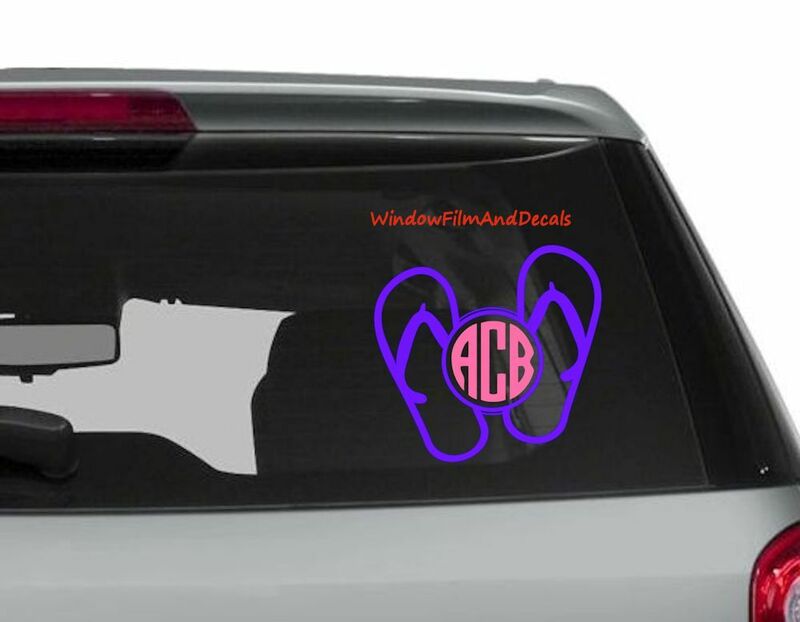 Available in a variety of sizes and colors, you can customize to coordinate with your car or just choose your favorite color. Very easy to install, these will arrive with transfer tape, and detailed instructions. These are measured by width. These are slightly wider than they are high. Made from high quality vinyl with an outdoor life of 5 years. ***Note: Because this vinyl is made for outdoor use, the adhesive does not allow for the decal to be reusable after removal.